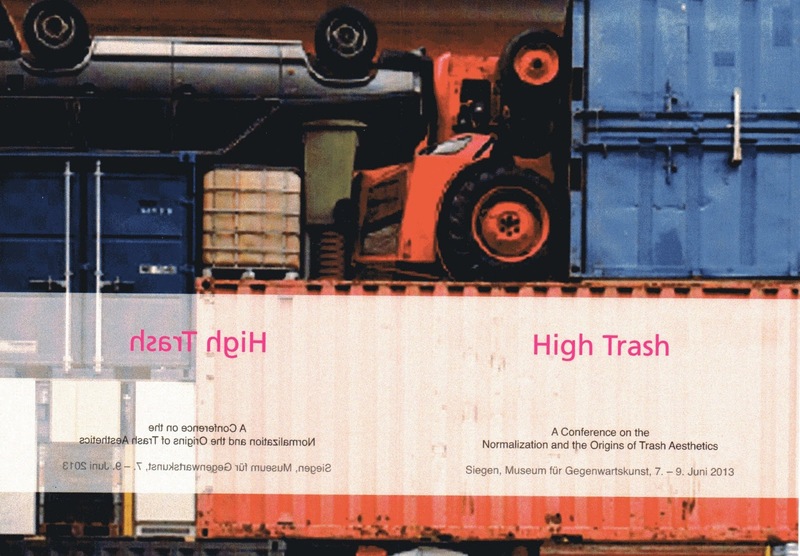 Earlier this month I took part in a fascinating three-day conference on High Trash and the rise of Low-Brow Culture. 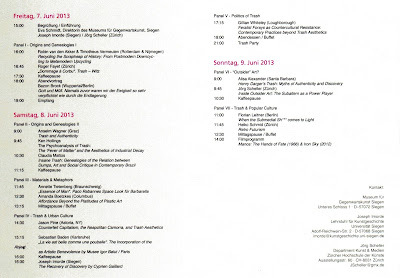 It had been organized by the School of Art History at the University of Siegen in collaboration with the Department of Art and Media at the Zurich Hochschule der Künste. 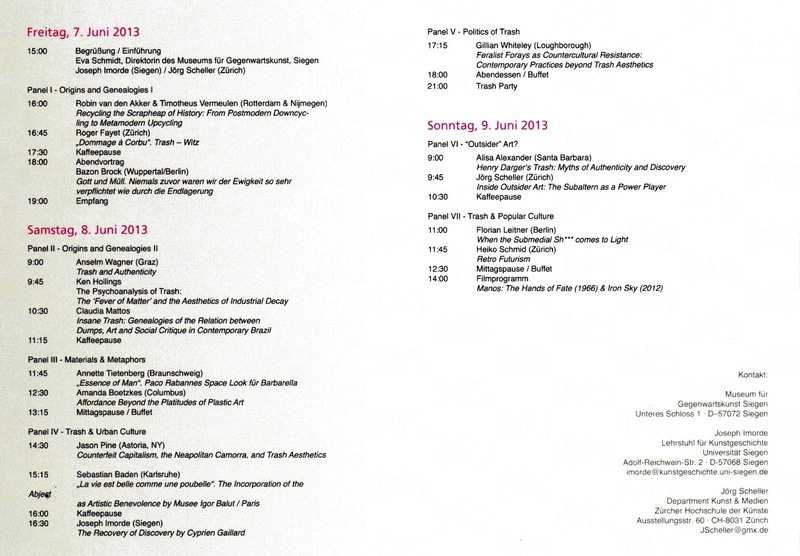 I had been invited to come and talk about Ludwig II, Michael Jackson and Elvis Presley as a further stage in the development of my new project: The Psychoanalysis of Trash. 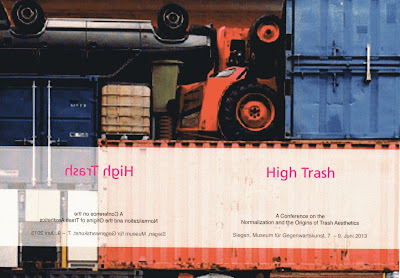 I am reproducing the conference programme above as it gives an excellent overview of how wide the field of Trash Aesthetics has now become – ranging from Henry Darger’s hoarding to recycling plastic, the reverential disposal of nuclear waste, knock-off luxury goods and Comara-backed pop singers in Naples, plus the heroic efforts made by the German public to demolish an entire pyramid constructed from cases of imported Turkish beer. Nothing, after all, is more ‘post’ than trash; and those who struggle with the decomposing spectre of modernism, which is also to say mass society, suddenly have a reference point that simply won’t go away. On the contrary, it threatens to bury us in our own ideological landfill. Any attempt at transforming this into a useful virtue only suggests a nostalgic yearning for twentieth-century notions of progress and the enthusiasm of those who wished to be the last.